An in-depth overview of the entire college selection process from start (how to choose, how to apply, etc.) to finish (financial aid, being successful in college, etc.) in a timeline format. For students that are not necessarily planning to attend a traditional college, this is an opportunity to hear from trades unions and career training schools. Alfred University: The summer programs offer top quality instruction in a supportive environment, enjoyable activities, pleasant surroundings while also giving students an idea of what it is like to be in college. For more information go to www.alfred.edu/summer/hs.cfm. Assumption College: Experience college classes, learn what college is like as you begin the college application process and find out about Assumption College's select liberal arts program. For more information and to apply go to www.assumption.edu/admissions/pre-college-summer-program. Adelphi University: Experience life as a college student while pursuing credit-bearing and noncredit courses in nursing, computer programming, psychology, the arts and science. For more information go to precollege.adelphi.edu. Barnard College: Students will be challenged and stimulated while living and learning like a college student in NYC. 5 exciting summer programs: Summer in the City, Liberal Arts Intensive, Young Women's Leadership Institute, Dance in the City, Athena Summer Innovation Institute. For more information visit www.barnard.edu/summer. Boston University: Boston University's pre-college programs offer a chance to study at one of the world's top teaching and research universities. For more information go to bu.edu/summer/highschool. BU Summer Investigative Journalism Workshop: Three, two-week workshops begin on June 25th and run through August 3. Deadline is February 16, 2018. Boston University College of Communication /Academy of Media Production: Offers creative high school students the opportunity to develop their cinematic or journalistic storytelling skills.Create videos, webcasts, multi-camera productions and more. Program dates. For more information and application materials go to bu.edu/amp. Bucknell University: Bucknell is launching a new summer program Bucknell Academy Summer Experience (BASE). The program is open to high school students who will be rising juniors or seniors. For more information and the application go to bucknell.edu/BASE. Cornell University: Cornell University is offering 2, 3 and 6 week summer programs. Students can earn 3 to 6 credits in courses. This summer programs will be offered between June 23rd. and August 7th. For more information go to summercollege.cornell.edu. 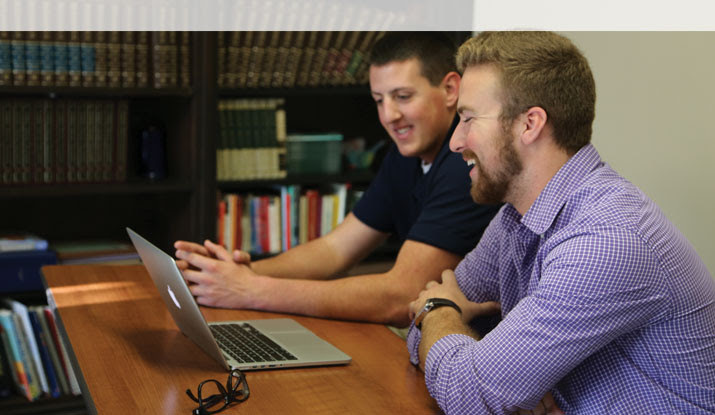 Catholic University: Summer Business Institute: The Busch School Summer Business Institute is an exciting week-long educational experience in business innovation, entrepreneurship, leadership, and ethics through the lens of Catholic Social Doctrine. The cost is only $300. , all meals, housing and excursion included. Applications can be found at CatholicSBI.org. Duke University: Duke Summer College for High School Students (grades 10 & 11) to earn academic credit or Duke Summer Academy for High School students (grades 9-12) to enroll in personal enrichment courses with a global perspective. To apply go to summercollege@duke.edu. Iona College: Pre-College Program for rising high school juniors and seniors. Students can earn three transferable college credits while experiencing college life. Learn more at www.iona.edu/precollege. Johns Hopkins University: The Pre-College Summer Program offers qualified high school students the opportunity to take freshman and sophomore level credit classes in arts, sciences and engineering. For more information and to submit an application go to www.JHU.EDU/SUMMER. Marist College: Earn college credit and get a taste of campus life while still in high school. The Marist Summer Pre-College Program is available to high school sophomores and juniors. Visit www.marist.edu/precollege for more information. Massachusetts College of Pharmacy and Health Sciences: A three day program for rising juniors and seniors who are interested in health sciences, public service and making a positive impact. Students will discover how public health professionals tackle the most pressing challenges of today while working to anticipate and prepare for the challenges of tomorrow. Apply at www.mcphs.edu/SummerImmersion. Pratt Institute: Pratt Institute's PreCollege program welcomes 400 high school sophomores, juniors and seniors. The students encounter life as an art and design college student and upon completion of the program earn four elective credits that are accepted at most colleges and universities. For more information go to preco@pratt.edu. Regis College: The Regis Summer Scholars Program is designed for high school students. Earn six college credits through two introductory courses taught by dynamic faculty (English composition and your choice of a communication or health science course). Regis is offering program rate of $1,500 for your rising juniors and seniors with our Dioceses. For more information and to register go to regiscollege.edu/summerscholars. Rutgers Pre-Engineering Summer Academy: Rutgers University is offering an intensive one week certificate program to introduce students to a variety of engineering areas. Student must be between 16-18 years old, have completed courses in precalculus and physics and submit an online application. Smith College: Summer Precollege Programs at Smith are open to academically talented girls who will enter grades 9, 10, 11 and 12 in fall 2018. Enrollment is limited to ensure a quality academic experience. For more information and to submit an application go to www.smith.edu/summer. Stanford University: CyberMath Academy - July 6-17 at Harvard Univer and July 15-27 at Stanford University. Student will be able to choose from a variety of options with include College Prep, Math, Coding, Robotics, Game Design and Physics. Registration is open at https//cybermath.org Many pre-collegiate programs are offered to students in grades 7-12. To apply go to spcs.stanford.edu/find-yourself. Stevens Institute of Technology: Pre-College Programs - go to summer@stevens.edu Deadline: February 15, 2018. Syracuse University: Students can choose from 30+ credit and non credit programs, explore college majors, study at the college level. Many programs fill up early so visit sumcoll@syr.edu to register and for more information. The New England Center for Investigative Reporting based at Boston University's College of Communication: Three two week sessions are being offered. Students participate in seminars and work alongside veteran journalism teachers and award winning local and national journalists. For more information visit the website. University of New Hampshire Hospitality Management Program: The University of New Hampshire Peter T. Paul College of Business and Economics invites area rising seniors considering a career in hospitality management to participate in a one week residential summer program. July15th - July 21st. Due to the generosity of private donors, the tuition for the summer program is set as low as possible to insure as many students participate. For the 2018 summer program the fee will be $500. Applications available on Feb.19th.For more information visit http://paulcollege.unh.edu/departments/hospitality-management/summer-program. University of Pittsburgh: The Bridge Program is a college prep and leadership academy. For more information go to PittBridge@pitt.edu. Wentworth Institute of Technology: A four week program in the Department of Architecture called SummerFAB, is being offered to students entering grade 10 and above. Students who successfully complete the program and later enroll in the Architect program at Wentworth can use it to replace a four credit elective course. Graduates of SummerFAB will also be eligible to receive a one time $2,000.00 tuition scholarship towards their freshman year. For more information go to http://legacy.wit.edu/summerfab. WPI Frontiers: Applications Open Feb. 3, 2019 for Summer of 2019. This is an on campus, residential, research, and learning experience for soon-to-be high school juniors and seniors. Frontiers blends science, technology and engineering programs with humanities and arts workshops. Additional information is available at wpi.edu/+frontiers. WPI: Applications Open Feb. 2, 2019 for Summer of 2019. This is a learning and research opportunity for students entering their freshman or sophomore year in high school. Workshops will be offered in biology, chemistry/biochemistry, computer science, engineering technology, environmental modeling, interactive media and game development. Additional information is available at wpi.edu/+launch. Young Leaders Summit/ Hispanic Scholarship Fund: HSF Summer Programs available to exceptional high school juniors (class of 2020). Young Leaders Summit presented by the Youth Leadership0 Consortium, is a free, four day, overnight, college empowerment conference at the University of Chicago. More Information can be found in Guidance. Information on the upcoming SUMMER AND FALL, 2018 SAT Preparation Courses, to be held at Bridgewater State University, and BSU Attleboro (new site! ), can be found by clicking on the link below. Naviance is a web-based resource that provides students with features that include college research and matching tools, course planning and career assessment. You will find Naviance on the Family Connection website which allows parents and students to manage college and career selections. Guidance counselors are able to track the progress of individual students, communicate and collaborate with students and families as well as submit transcripts, school forms and recommendations through Naviance eDocs. Graduates who need to obtain their transcript should contact the guidance department at 508.222.6073 or email Mrs. Means at pmeans@bishopfeehan.com.